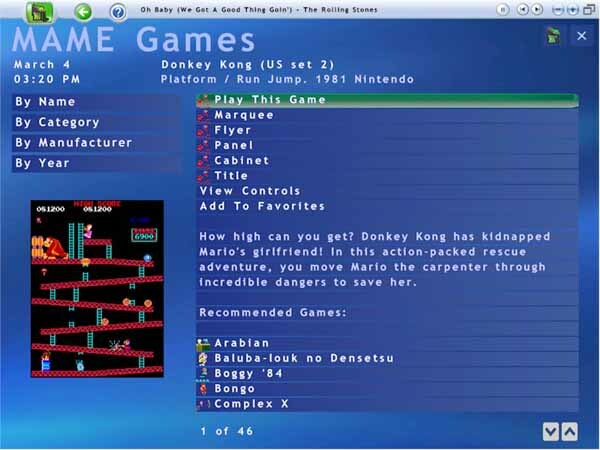 Free download GameEx Latest Version.GameEx is considered to be the most powerful and feature rich front-end for MAME, GameBase, Daphne, PC Games and all command line based game emulators, along with being a complete Home Theatre PC solution or plug in for windows media center. It’s designed to be used seamlessely with arcade controls and various arcade products and also has fully featured tuch screen and tablet support suitable to be used as a CarPC and touchscreen frontend. GameExtender networked display and remote control. Display game information and custom artwork on another display. Remote control GameEx with any web browser or your iPhone or iPad.A new front end first for registered GameEx users – Plug and play Steam support with automatic artwork, videos and database. Access all your installed Steam games from the GameEx interface. Media Library. The Media library brings all your pictures, videos and audio together in one place. It can also be used as an alternative to the jukebox by allowing you to view your music by folder and file name. Game Statistics, available online through GameExtender and from the interface.